Newsademic is a fortnightly (every other week) international newspaper (26 issues per year) written and edited in an uncomplicated and easy-to-understand style. Used by teachers, English language tutors, schools, families, students and public libraries in over 100 countries, it is accompanied by two sets of worksheets or activities, plus the answer keys and a two-year searchable archive. Newsademic is published in both PDF and HTML formats. Each issue features up to 20 of the top world news stories that have made headlines during the previous two weeks. These are a mix of articles about current affairs, scientific discoveries, cultural heritage, history, politics, and the business world. Where appropriate, articles include historical information and context normally lacking in mainstream media. Articles reflect no political or religious bias. News stories are reported factually and every attempt is made to explain all sides where opinions differ. All subscribers have mouse over definitions of more complex words on HTML versions. 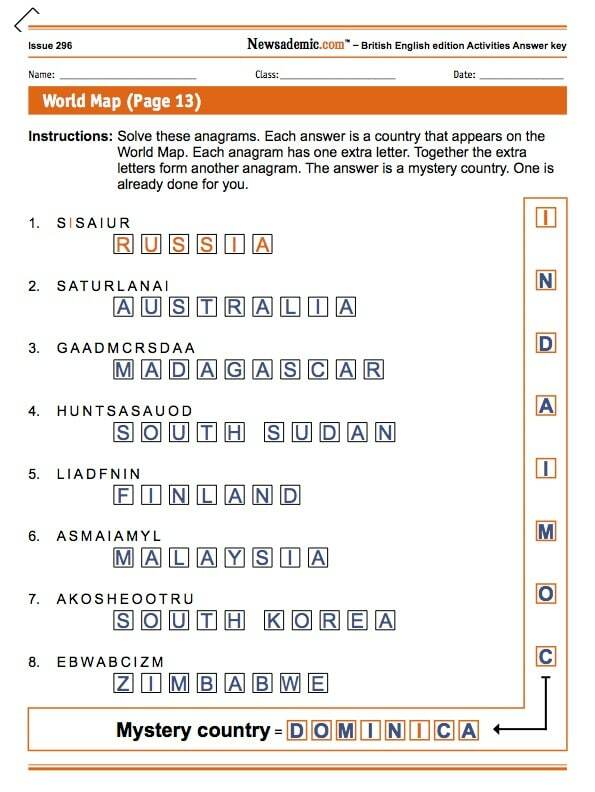 Each issue includes a crossword and wordsearch puzzle based on the glossary words. 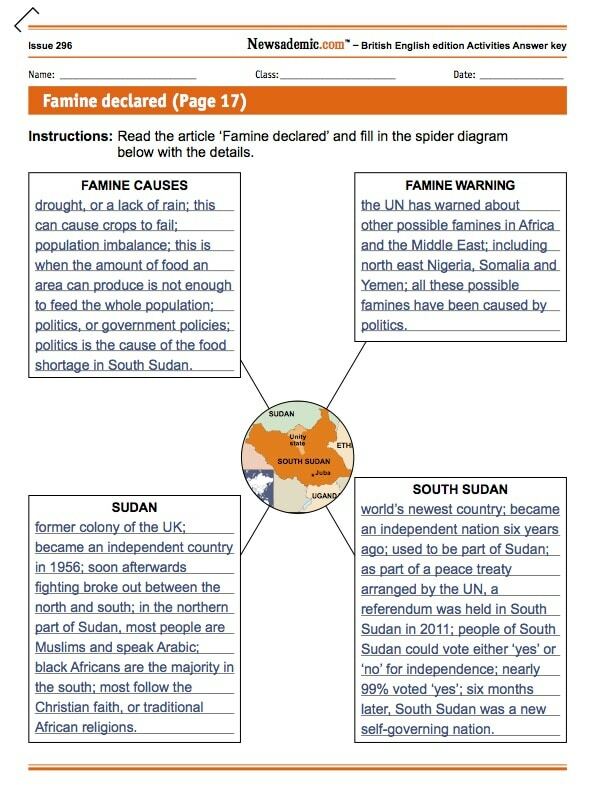 Selected story print out facility with or without the relevant glossary words. 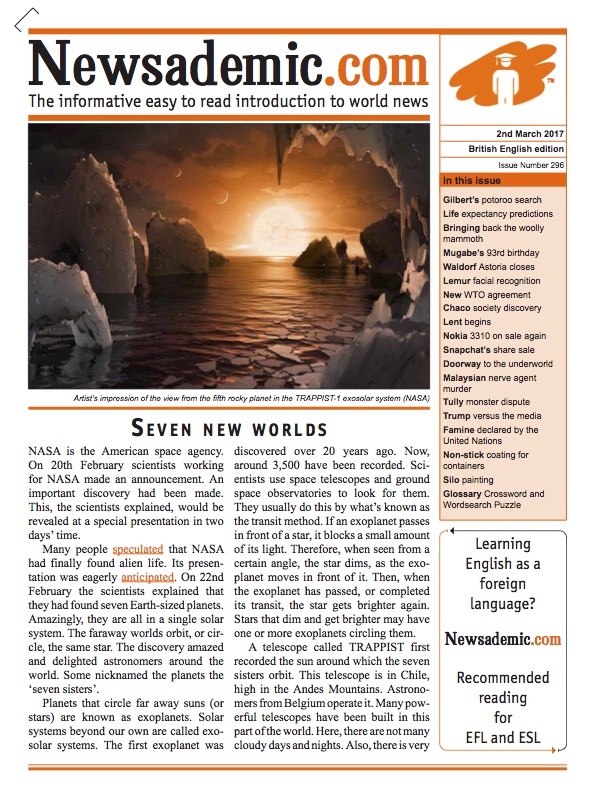 Subscribers opt for a British English or American English edition. Featured articles are the same but some vocabulary, spelling and punctuation differ.